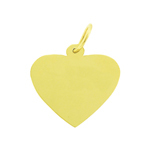 Fall in love with this lovely 14kt yellow solid gold engravable rectangular customizable pendant. 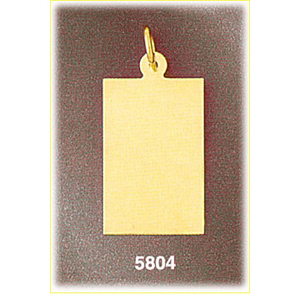 A rectangular pendant makes the perfect complimentary addition to any gold chain especially when it is precision laser engraved with your own personalized sentiments. 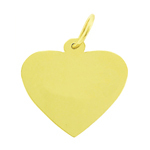 Choose from script, block or raised lettering available for the front and back of your heart engravable pendant. 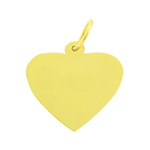 Pendant is crafted in 14k yellow gold featuring a polished finish with flat back, it measures approximately (15mm - 5/8") in width by (22mm - 7/8") in height and weighs 2.9 grams, it is recommended for necklaces.